Our planet is 31 percent forest, but that number is constantly dwindling. Forests, in all their grandeur, are vital oxygen producers. The fact that deforestation is so widespread spells only trouble for the Earth and for humankind. Forests provide shelter for both people and wildlife. Many threatened and endangered animals live in forests, and around 1.6 billion people draw benefits from forests. Among others, trees offer us clothing, food, fresh water, shelter, and traditional medicine. In other words, forests are a crucial aspect of life and biodiversity – more so than other ecosystems on Earth. Every year, forests drop in land coverage across the world due to the degradation and destruction of trees. Unfortunately, the native hardwood forests in Europe, eastern U.S., and central Canada are almost gone. Deforestation – a man-made action – is the leading cause of forest disappearance, destroying at least 80,000 acres of forest daily. Natural causes, on the other hand, are the reason for the disappearance of at least another 80,000 acres. In the 1990s, 39 million acres of trees were felled each year, a number that has slightly dropped to 32 million acres in the past decade. We still cleared an area the size of Costa Rica during the last 10 years, which is nothing short of catastrophic. At the same time, scientists speculate that the slowing rate of deforestation is only a temporary break. The current global economic crisis has created an unintentional lull, but we need more conscious efforts to continue this positive trend. 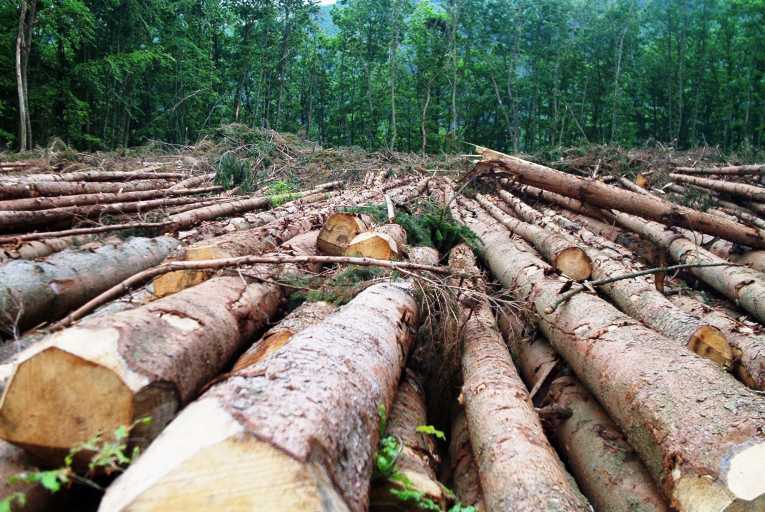 According to a 2015 Time report, people cut down 15 billion trees annually. That’s the equivalent to 36 football fields every minute and approximately 46-58 thousand square miles. Various factors are play when it comes to deforestation. Wildfires, ranching and development, clear-cutting for agricultural purposes, degradation due to climate change, and unsustainable logging for timber are just some of them. All of these causes put together have a dreadful impact on people’s livelihoods, as well as plant and animal species. Tropical rainforests are particularly affected by deforestation, which is a huge concern for the world’s biodiversity. For instance, around 17 percent of the Amazonian forest has been destroyed in the past 50 years. Forest conversion for cattle ranching is the main cause of the incredible loss of ecosystem that ensued. Even though populated areas are more vulnerable to deforestation, the phenomenon also threatens remote regions. Gold, valuable mahogany and oil are only some of the resources people seek to collect, which causes more rampant tree destruction. Let’s look at some of the main causes of deforestation and their effects on the world’s forests. Mining for precious metals – gold, diamonds, and even copper – leads to mining rushes in forests and around them. In turn, they cause forest destruction while creating campsites for the extraction of the metals. More often than not, people deplete the mines and they they abandon them. Patches of cleared forest remain in their wake because no-one bothers to plant new trees. Harvesting hydroelectric power in forests destroys the ecosystem through flooding. Dams are particularly harmful as they require the felling of the trees located on their shorelines. In addition, people living in the area are usually resettled because of the high risk of flooding. Forest fires are the result of fragmentation of forests from agriculture and selective logging. They are the leading natural cause of deforestation, not only because they kill wildlife and destroy ecosystems, but also because they cause huge amounts of carbon to rise into the atmosphere. After farming depletes the soil of nutrients, farmers sometimes convert the land to cattle pastures. Over the past three decades, factory farming has seen a booming increase – over 600 percent. As a result, today’s intensive grazing covers more than 27 percent of the planet’s total land surface. The increasing number of farm animals requires the severe clearing of forests to make room for them. Also, producing meat, egg, and milk causes the release of an additional 2 billion tons of carbon each year. This puts an even larger strain on forests, which are Earth’s oxygen machines. Cutting down trees to convert them for other uses remains one of the main factors in deforestation. Humans use lumber for many purposes, including as fuel, building materials, furniture, and paper products. Unlike individual farming, commercial agriculture often clears hundreds of thousands of acres for large agricultural cultivation. Employing slash-and-burn techniques has a terrible effect on the environment. Some of the cash crops that replace forests are coffee, soybeans, cocoa, bananas, tea, and rubber. The problem is that a lot of the harvests are not even destined to be consumed by humans. More than 70 percent of both corn and soybean produced worldwide is used as livestock food. However, more often than not, the soil is unable to support long-term agricultural efforts, which leads to many farm failures. While deforestation has vast effects, the two largest are the loss of biodiversity and climate change. Tropical deforestation – responsible for 20 percent of greenhouse gas (GHG) emissions – is one of the most serious factors contributing to global warming. It tops GHG emission from planes, automobiles, boats, and trains combined. Felling trees releases a lot of carbon into the atmosphere, diminishing the capacity for carbon absorption. Russia and China are just two of the countries are also dealing with desertification (also known as man-made deserts). This is another result of deforestation and other land-stripping practices. Desertification is now a threat in over a third of the Earth’s land surface. Forests have a major role in alleviating the effects of climate change. Firstly, they act as carbon storage, soaking it and turning it into clean oxygen. 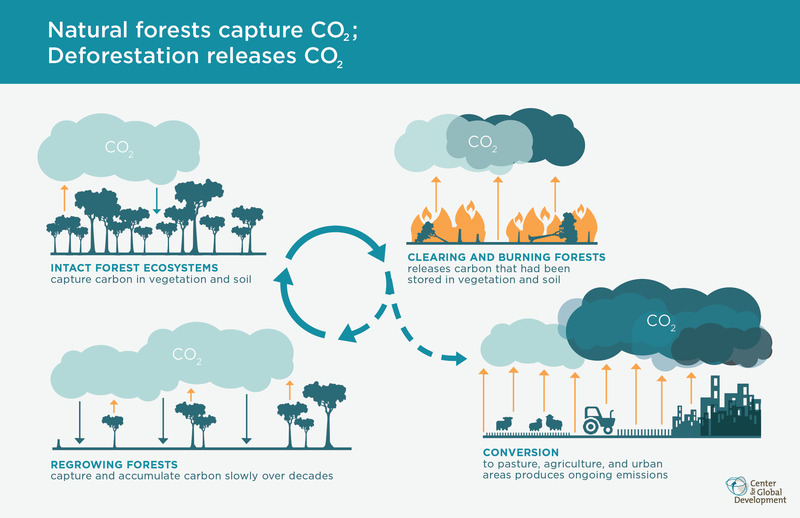 With no forests, this carbon dioxide ends up in the atmosphere and contributes to changes in climate patterns. Secondly, deforestation alters this carbon sink ability, contributing to the release of 15 percent of all GHG emissions. Solutions to deforestations exist, as well as methods to help us reverse the phenomenon. Thankfully, there are environmental organizations like the World Wide Fund for Nature (WWF) ready to work on protecting forests. For more than five decades, WWF has focused on sustainable forestry and protected areas management. WWF combats illegal logging, promotes responsible forest management practices, protects forested areas, and plans to reform trade policies. Society needs to become more environmentally aware about the effects of consumerism, and then deforestation might start declining.